Chanel - Oversized pearl bracelets and necklaces dominated the runway à la 80s. 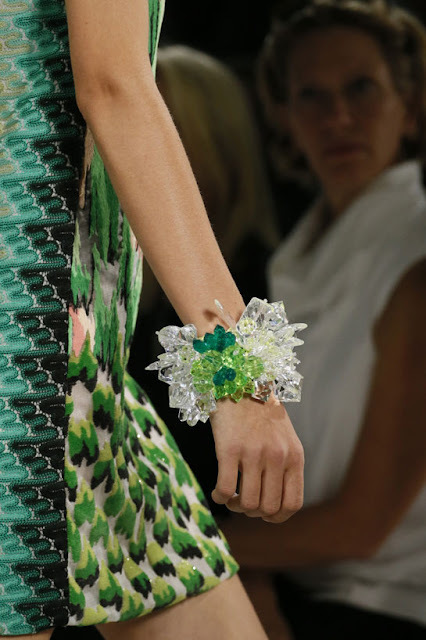 Dior - Part metal and part resin encrusted with crystals; I simply adore the mix of materials. Lanvin - sleek metallic metal chokers in geometric shapes will be everywhere next year. Mark my words. 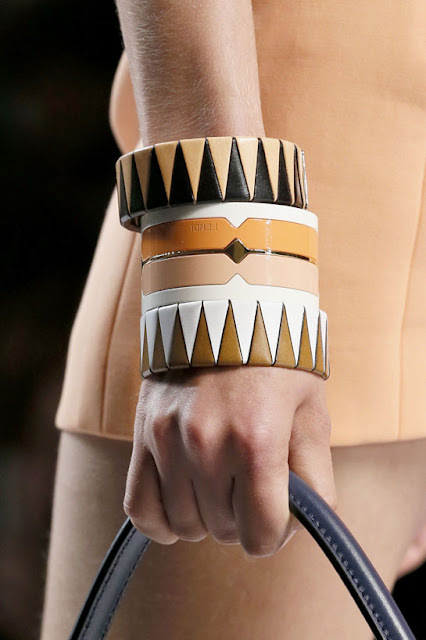 Fendi - I love the mix of graphic/geometric styling in this subdued palette of cappucino, mocha and light apricot. 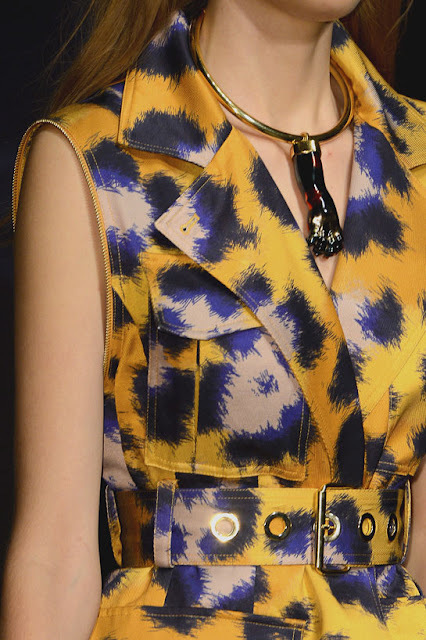 Kenzo - Always so vibrant and wild with their prints, they've stayed true to their safari style with this tiger claw pendant. Dolce & Gabbana - Over the top and over-embellished is synonymous with these 2 designers. This season they don't disappoint with a collection worthy of a vacation! Jean Paul Gauthier - His whole runway was inspired by 80s music idols like Annie Lennox, Billy Idol, Boy George and of course, Madonna. Here are the famous rosaries she made famous in her Like A Virgin days! 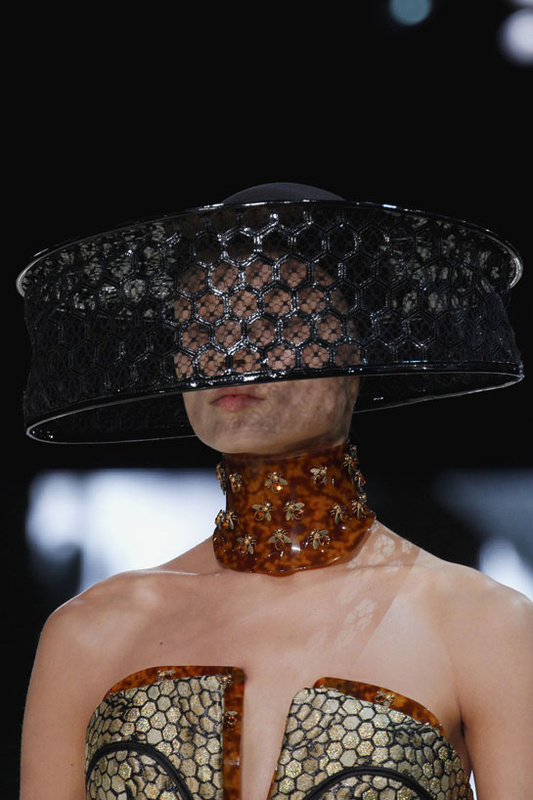 Alexander McQueen - Sarah Burton must have visited a bee farm before designing her Spring collection and we love her for it. 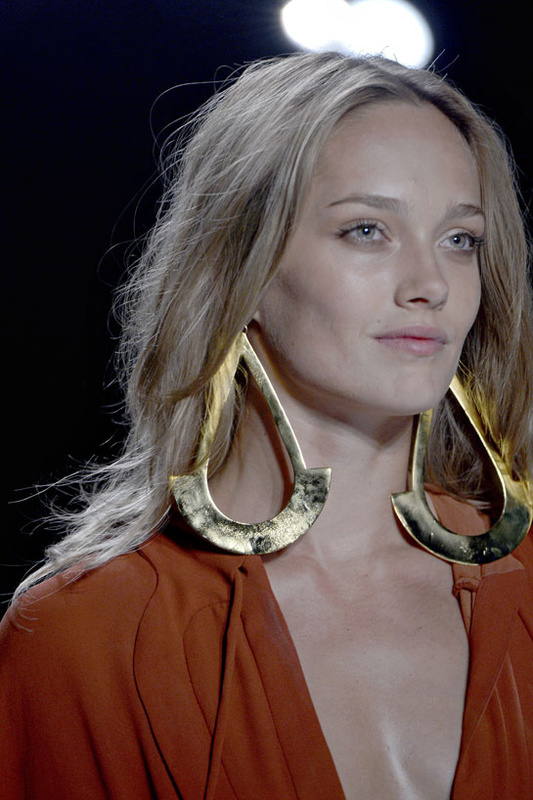 She sent newness down the runways - it was refreshing! We love the tortoise shelled shoker with bees!!! 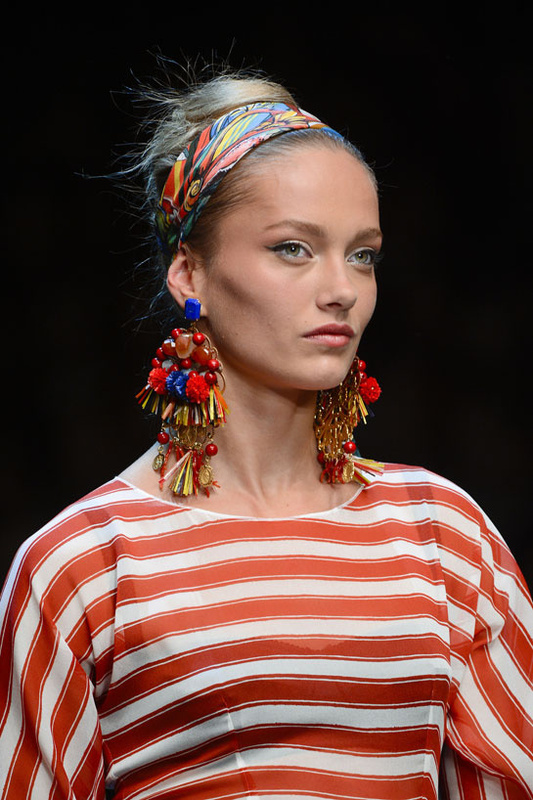 Missoni - I love the mix of pop art prints with ornate crystal cuff! It's whimsical and crazy just the way I like it!